A collaborative portrait project matching Eastside Neighbors with student photographers from MSU's Residential College in the Arts and Humanities, including a permanent exhibit at the Allen Market Place. 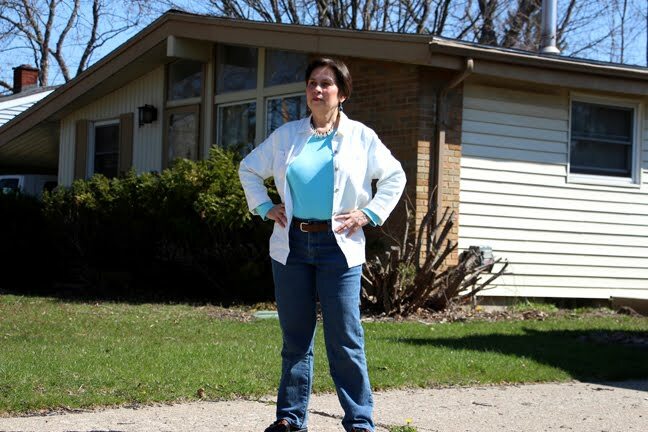 Paloma Reagen Rosales moved to Lansing in 1988 and now lives in a 64-year-old home in the Eastside neighborhood. Paloma loves the welcoming, warm environment of the Eastside. She knows all her neighbors around the block and enjoys their random pot lucks. Paloma is also a prolific visual artist and musician. “As far as visual art goes I just love to do it, I love being creative, painting, and drawing,” she said. Paloma knew she wanted to be a visual artist as soon as she had crayons in her hand. She felt the love for drawing and painting people, animals, and all aspects of nature. 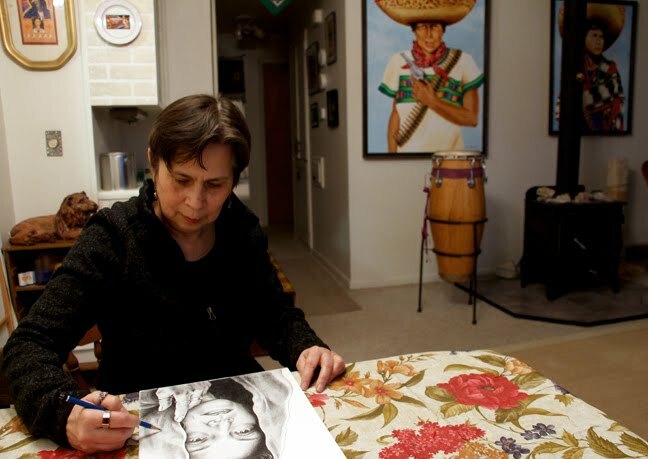 Paloma’s home is filled with her amazing drawings and paintings of women of the Mexican Revolution created from models and historical photos. She is also interested in musical art. Paloma’s artistic drive to the music of drums gives her a high energy and inspires her to get involved. 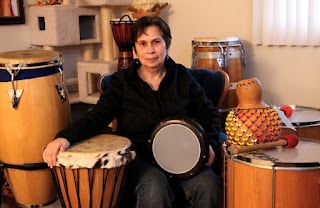 “When I first saw that drum circle the energy was just so amazing the air was electric,” she said. 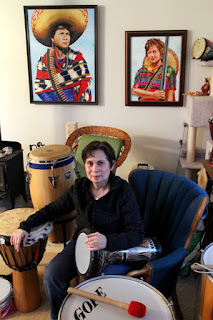 Her journey into drumming started in 1978 at a music festival. She saved her money to buy her first drum, named Venus, and now has a collection of hand drums, Latin drums, and African drums. Paloma has many talents. She’s not just a visual artist and a drum player, she also works as a designer for Slick Shirts, a t-shirt company in the Eastside. Paloma loves working with the t-shirt business because she’s able to use her creativity in her everyday life. Oh so nice, Paloma. I super like it.